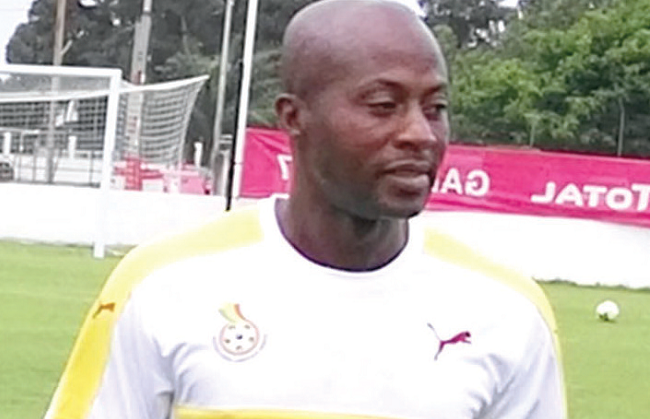 Deputy Coach of the Ghana Black Stars, Ibrahim Tanko has been handed the reins of the national U-23 team the Black Meteors. The ex-Borussia Dortmund and Black Stars midfielder has been tasked with preparing the Black Meteors for their upcoming CAF U-23 Cup of Nations fixture against Togo. He is to be assisted by Michael Osei with Nasaamu Yakubu designated as Goalkeeper’s Trainer. Tanko takes over the role following the unfortunate demise of Coach Yusif Abubakr in Kumasi last week, following a short illness. The Black Meteors are billed to engage near neighbours Togo in a first round eliminator for the U-23 African Cup of Nations. The Meteors will host their Togolese counterparts on the 18th of December at the Baba Yara Stadium in Kumasi, with the return leg four days later in Lome. The PFAG congratulates Coach Tanko on his appointment, and wishes him well in his bid to attain great laurels with our national Olympic team!